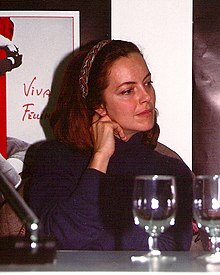 قرتا اسکاکی (اینگیلیسجه: Greta Scacchi) بریتانیالی اوْیونچو ۱۹۸۱–گۆنوموز ایللر آراسیندا سینما ساحه‌سینده چالیشیب. 1981 Bergerac Annie Series 1, episode 10: "The Hood and the Harlequin"
1989 The Skull Beneath Her Skin Cordelia Grey A 2-part BBC Radio Play of P D James novel. Scacchi's radio debut. 2006 Marple Tuppence Beresford Episode: "By the Pricking of My Thumbs"
2006 Nightmares & Dreamscapes: From the stories of Stephen King Dr. Katie Arlen TV miniseries. Episode: "Autopsy Room Four"
2013 Agatha Christie's Poirot Mrs Burton-Cox Episode: "Elephants Can Remember"
"|Uncle Vanya " "|Yelena	"
"|A Doll’s House " "|Nora	"
"|Miss Julie " "|Miss Julie	"
"|Easy Virtue	" "|Larita	"
"|Old Times	" "|Kate	"
"|Vecchi Tempi " "|Anne	"
"|Private Lives	" "|Amanda	"
"|Mary Stuart " "|Queen Elizabeth	"
"|The Deep Blue Sea	" "|Hester	"
"| A Little Night Music	" "|Desiree	"
"|Bette and Joan	" "|Bette Davis	"
"|King Lear " "|Regan	"
"|The Seagull	" "|Madame Arkadina	"
"|The Glass Menagerie " "|Amanda	"
اینگیلیسجه ویکی‌پدیاسی‌نین ایشلدنلری طرفیندن یارانمیش«Greta Scacchi»، مقاله‌سیندن گؤتورولوبدور. ( ۲۱ دسامبر ۲۰۱۷ تاریخینده یوْخلانیلیبدیر). قارداش پروژه‌لرده قرتا اسکاکی گؤره داها آرتیق بیلگی‌لر تاپابیلرسینیز.